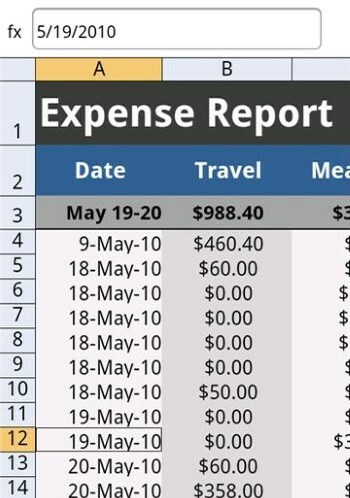 Spreadsheet programs are one of the most effective methods of keeping track of business and personal finances. Since the purpose of this site is the sharing of information, we wish for our users to benefit from such information as much as possible. To that end, not every page on this site has to give the appearance of timewasting or looking up obscure shows. Many pages seek to educate in many ways, whether or not it is to help users in understanding and creating media. For further reference, see Useful Notes, TV Tropes Will Enhance Your Life, TV Tropes Enhanced My Life. For opposing information, see Not Safe for Work. If you have any kind of office program suite (word processing, spreadsheets, powerpoint presentation, databases, etc. ), look up tutorials on how to use them. Many websites will offer free tutorials. Even if you don't plan on being an accountant, learning basic bookkeeping will allow you to understand many kinds of financial documents, even those just involving bills and bank statements. Learning basic economics will have similar benefits. For writers and readers, never underestimate the importance of a good dictionary when it comes to knowing how to properly use words and grammar. It is also helpful to look up terms your boss uses frequently, especially finding out what your boss thinks they mean, over their true definitions.